A Little Bolt of Life: Weekend Recap! Saturday I met up with a new running buddy! We met at a New Years party and live pretty close to one another so it's perfect! This week I am attempting to meet her at the gym on Tuesday and Thursday at 5:45. For those of you who know me, know that mornings are not my best time of the day. So here's to hoping I get out of bed! Now onto the bad part of the weekend. 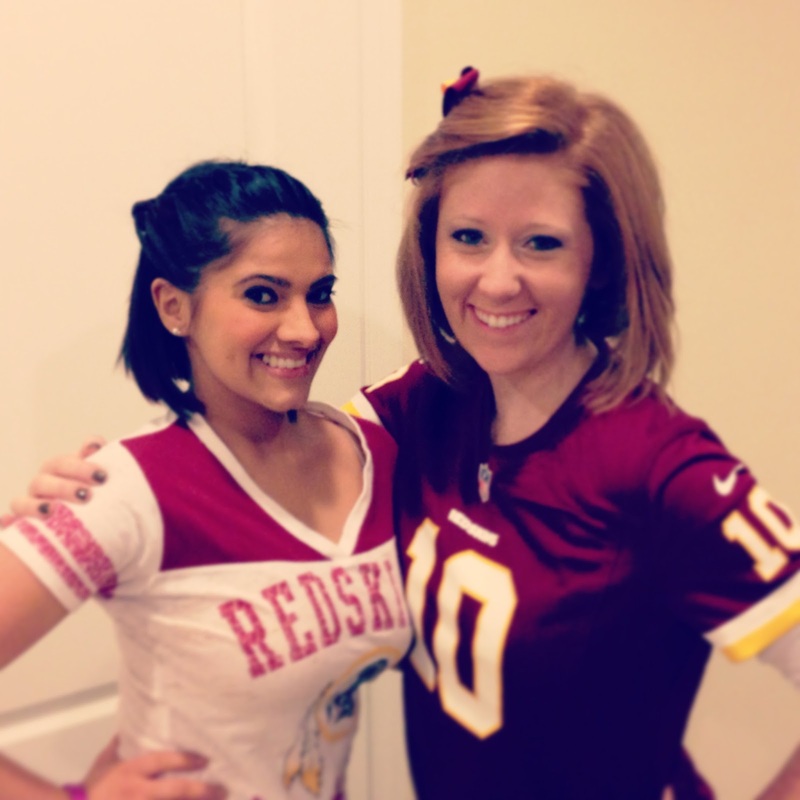 My beloved Redskins lost in the first game of the playoffs! It was nice to watch the game with friends but heartbreaking to watch them loose. There is always next year though! I think I'm more upset by the fact that they didn't at least score 20 points so I could get a free subway sandwich today. Hope everyone had a great weekend and is ready for the full work week ahead! Oh yeah, and tonight is the big Championship game. Go Notre Dame!!! Looking at this guy makes my Monday just a little bit better! awwww - sorry about the redskins, mel. :( :( but you look adorable so you got that going for you! !